I just wanted to share a huge THANK YOU to Kaycee and the Mickey Mom Travel, LLC crew. We just got back from a magical trip to Walt Disney World and Universal Orlando. There is no way I would even know where to begin with planning a trip of this magnitude. We are a family of four with two older children, 12 and 14, and we decided to take grandma along with us for our first ever trip to Disney. Kaycee did a great job of planning which days to be a which park with the lowest crowds during an especially busy time of year. I was very appreciative of the information Kaycee was able to find for us for Universal Studios. 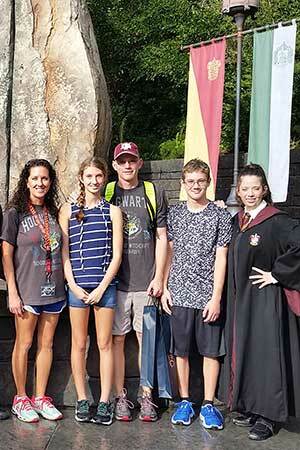 Our family loved everything in The Wizarding World of Harry Potter. From the buildings to the staff members that were in full character, it was magical! Again, thank y'all for your time and attention to detail! I would NEVER have been able to do all of this myself!